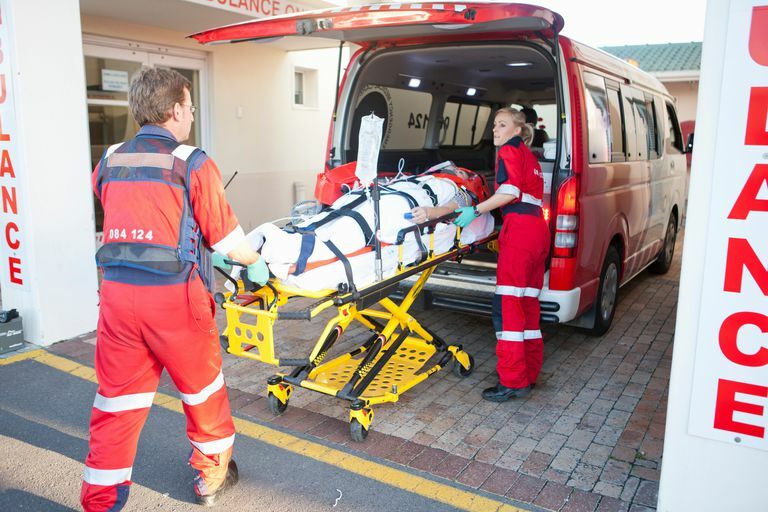 If you need emergency medical services and an ambulance arrives, you may assume that you will be taken to your nearest medical center, providing you the care you need in the shortest amount of time. While that would seem reasonable, in practical application it's not always the case. Where an ambulance crew ultimately takes you depends on the system used. The determination is sometimes made automatically the moment you call 911. In other cases, you may be routed by a coordinator tasked with distributing patients evenly between regional hospitals. Unless someone steps in and provides a rationale for change, you may be rushed across town even if your local hospital is just blocks away. Paramedics have a certain pull when making decisions. While they can't choose which hospital to take you to, they can report specific medical conditions that require a specialized facility. The systems used can vary considerably among states and even counties. In the parts of California, for example, people are traditionally offered a choice of hospitals to choose from, unless their condition warrants a specialized facility. In other states, you may only be advised of your destination as you leave. This is not to suggest you have no say in the matter. You have the right tell the ambulance where to take you, and, if they're able to do so safely, they usually will. However, some ambulances are assigned specific "zones" and are not allowed to transport patients outside of those territories. Moreover, if a hospital is full, you may be turned away even if it's the one you commonly use. One of the main considerations for the choice of hospital is the injury you sustained or the medical problem you experienced. Based on the assessments by the paramedics, recommendations will be made as to the most appropriate facility to treat you. While you may want to be taken somewhere else, the assessment by the paramedics will ultimately trump your demands if your condition is severe. Trauma centers are the most common type of specialty hospitals. There are four levels of trauma centers. Level I trauma centers can handle the most cases, as well as the most severe cases. In many EMS systems, serious trauma patients must be taken to a trauma center for treatment irrespective of their wish or the location of a closer facility. Other systems may require a patient to be flown by helicopter to a designated specialty center. Burn centers handle severely burned patients with treatments and equipment that other hospitals don't have access to. There are 59 burn centers in the United States verified by the American Burn Association (ABA) and 65 that are not. Cardiac care centers are sometimes referred to as "STEMI centers" because of the type of heart attack they most commonly treat (called an S-T elevated myocardial infarction). While there are hundreds of cardiac care centers throughout the United States, only 12 have been certified as "STEMI receiving centers" by the American Heart Association and the American College of Cardiology. Stroke centers are to the brain what a STEMI center is to the heart. There are over 1,100 centers designated as either primary or comprehensive stroke centers in the United States. Children's hospitals clearly know how to treat kids better than anyone else. Some of these facilities will be equipped with pediatric trauma centers. There are over 220 hospitals that exclusively treat people younger than 18 in the United States. When EMS systems get overwhelmed—usually as a result of a multi-casualty incident—patients will be divided up among the available regional hospitals. Transportation will be coordinated through a disaster control facility. In cases like these, neither you nor the paramedics will have a say in your destination unless your injuries demand the use of a specialized hospital. In natural disasters such as hurricanes or floods, emergency patients may be transported to other states, especially if the local healthcare infrastructure has been crippled. Most patients who request a transfer to a specific facility will do so as a result of health insurance concerns. If you know that one hospital an provider under your insurance plan and another isn't, it is fair to ask for the destination to be changed as long as it doesn't compromise your health. By contrast, it is illegal for the ambulance crew to ask you about your insurance status. Doing so may result in discriminatory practices, such as funneling you to a substandard hospital when a top-class facility may be nearby. With that said, you may want to volunteer the information if there's any chance that your 30 percent coinsurance for a provider hospital may be increased to full price with an out-of-network provider. Similarly, if you have been working with a team of specialists (such as cardiologists, infectious diseases specialists, or neurologists), you may want them to oversee your care as opposed to a team who does not know your background or history. On the face of things, the simplest choice would be to take you to the nearest hospital rather than carting you through rush hour traffic across town. But the simplest choice is not always the best choice. If it unclear why you or a loved one is being transported to a distant facility, do not hesitate to ask. As panicked as you may feel, listen to their rationale and be quick to let them know if you prefer another facility for whatever reason. Will My Insurance Cover the Ambulance Costs? American Burn Association. United States Burn Centers. Chicago, Illinois; updated 2018. American Heart Association. Mission: Lifeline Heart Attack—STEMI Receiving and Referring Hospitals. Dallas, Texas; updated 2018. What Exactly Is a First Responder? How Are Patients in a Multi-Casualty Incident Treated? Urgent Care vs. Emergency Room: What's the Difference? When Treating Heart Attacks, Speed and Efficiency Are Essential. Should I Tattoo "Do Not Resuscitate" on My Chest? After You Call 911: Who's Coming and What Do They Need? Does Insurance Pay the Bill for Expensive Ambulance Rides?